← Cherries!! WE have Cherries!! 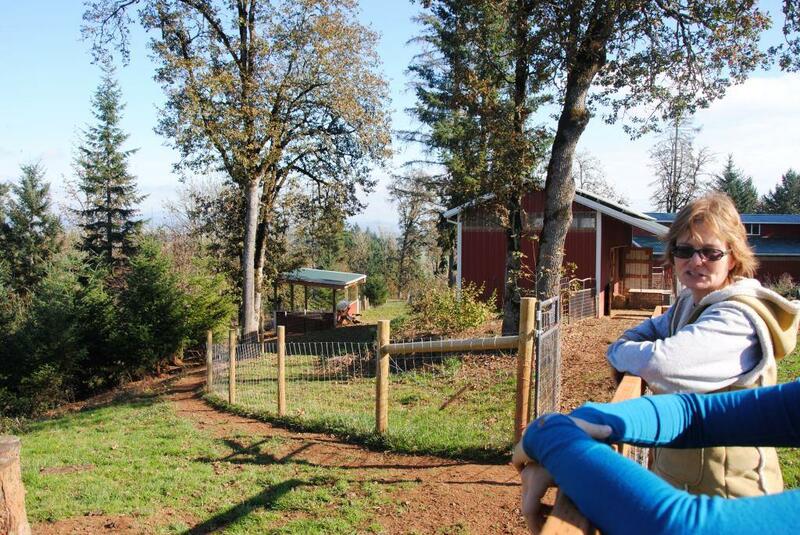 When Stacy and Russell Shellington purchased 23 acres in Yamhill they only planned to use the land for the two horses they owned. But then their daughter was in 4H and she raised two hogs, one for the fair and one for them. And the next year, they purchased four. And the year after, Stacy researched and they started breeding Berkshires. Sky Ranch, named not so much for the vistas from their hilltop home but the fact that Russell is a pilot, became a farm serving a growing niche market. 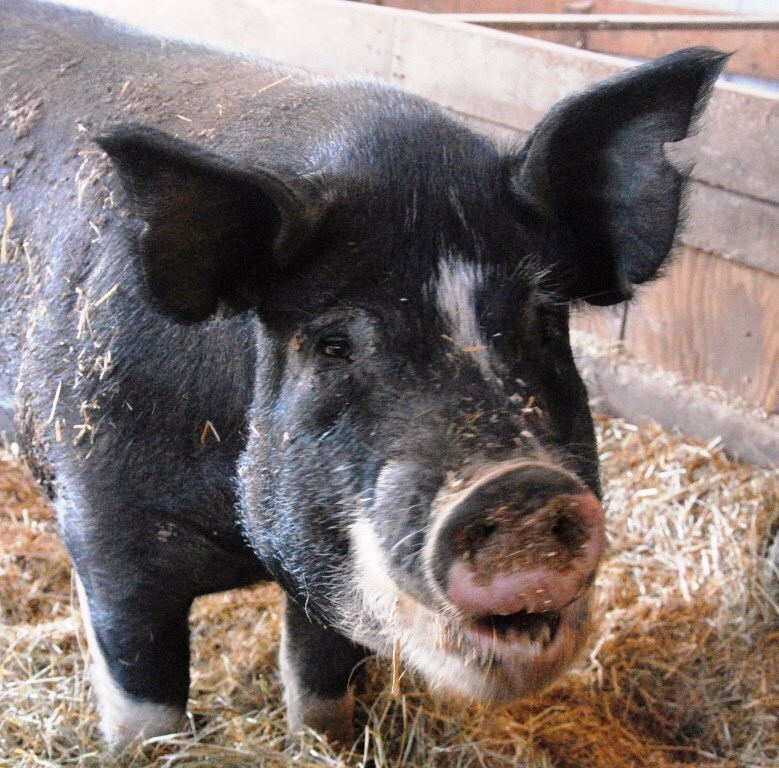 In the past decade Berkshires have become one of the heritage breeds of pigs that small farmers have chosen to raise. As most pork consumed by Americans is raised on factory farms, a growing number of consumers are opting to locate protein sources that avoid unnecessary hormones and steroids. 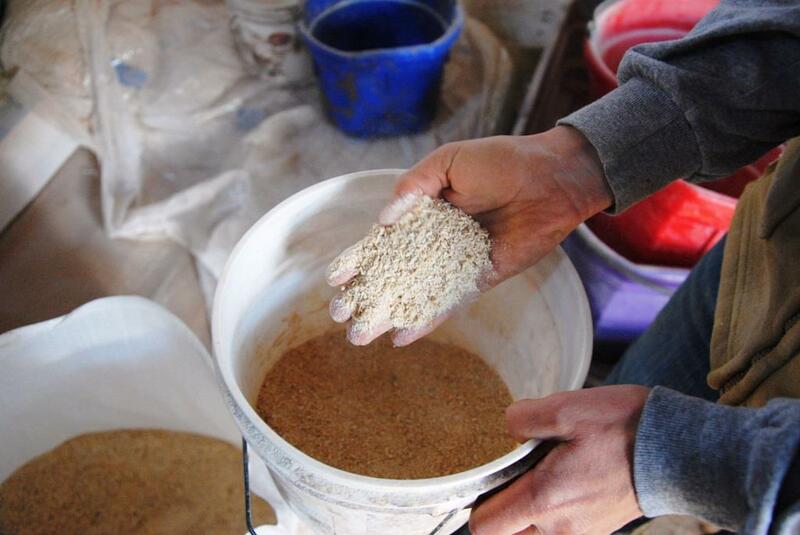 Stacy explained that the piglets are not weaned until they are 8 weeks old and then fed a mix of grain blended for Sky Ranch at a local feed mill with wheat, barley and oats grown in the Willamette Valley. Sky Ranch has one boar and several sows. 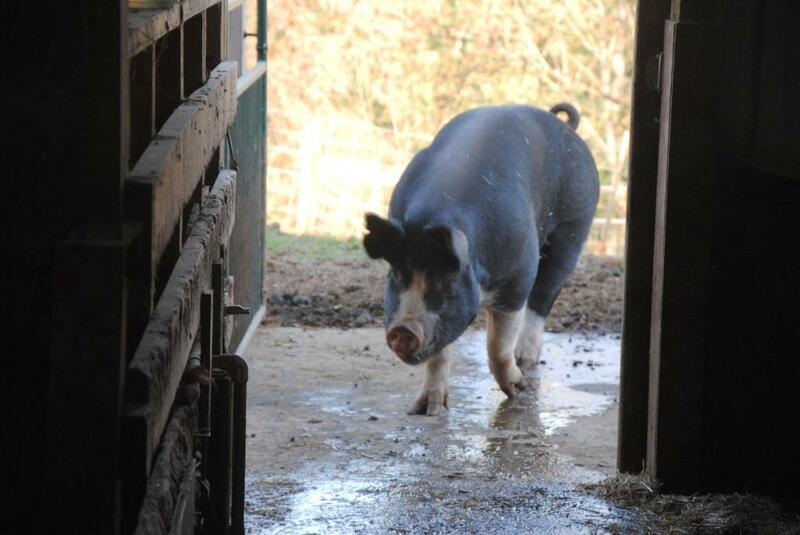 Stacy recently retired two of her older sows but currently there are three others that are pregnant. They have been moved into the barn for the wet season but have access to a large outdoor area on days when the weather is dry. Typically they move outside in March to spend time in large fenced runs. Currently there are seven runs that are fenced which permits one area to stay fallow per year while the other six are used in rotation to permit the ground cover to regrow. Stacy said they are planning to fence more and increase the runs up to 12 in time. There are 17 weaners now, growing to a mature weight and will be ready for processing in February. They have been in another barn apart from the adults with open access to a large fenced hillside. When we approached they all charged out, running for the open, and the vegetation there kept them occupied for the next 20 minutes, so we only had glimpses of them. They all have names; about half are named after singers and songwriters (Willie Nelson, Lyle Lovett, Dolly Parton, for example) and the others for physical attributes (like Bright Eyes). 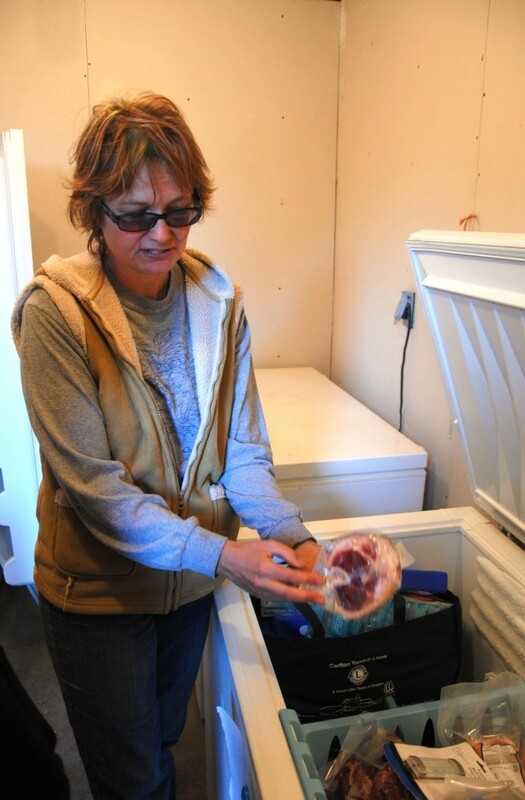 Shelly pre-sells half or whole hogs as much as possible. 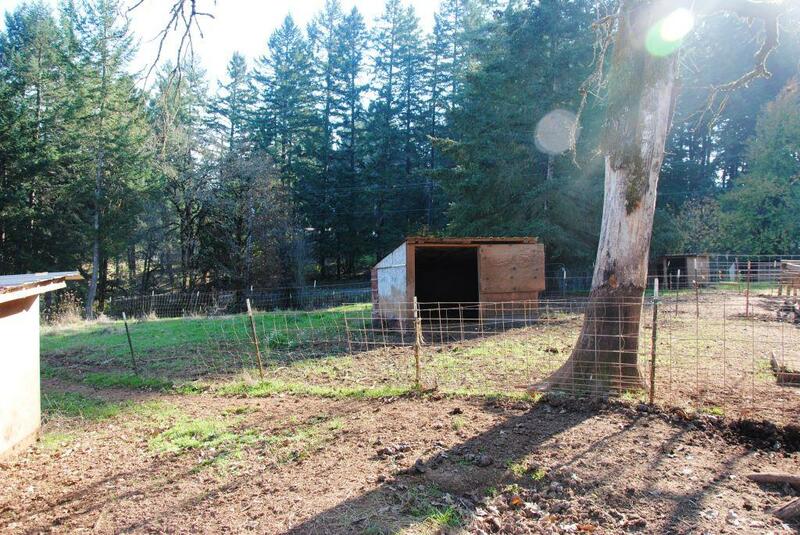 Those can be processed at the ranch by an Oregon licensed mobile processor. 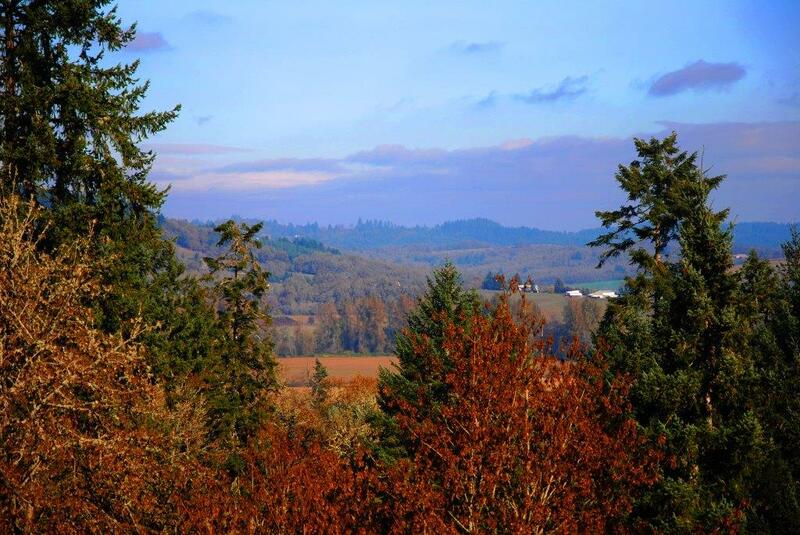 Because Sky Ranch is a licensed seller, meat is available by the cut year-round through Yamhill Valley Grown and also will be available at the McMinnville Farmers’ Market in season. 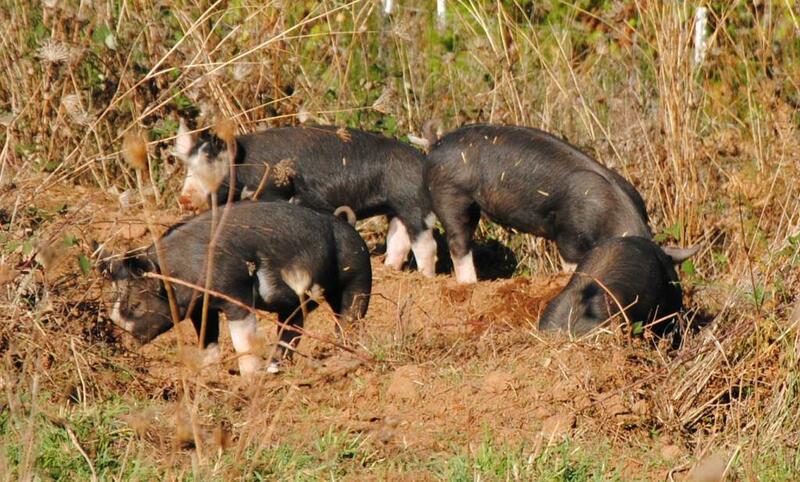 Those hogs are taken to the USDA approved processor, fortunately only about five miles away. Shelly has a number of hams available that could grace your table for Christmas. Make sure to email soon to order yours! And, if you want to order a half or whole hog, there are still a few available at this time. This entry was posted in farm, heritage breed, pork and tagged Berkshire, heritage breed, Oregon, pigs, pork, swine, Willamette Valley, Yamhill, Yamhill County. Bookmark the permalink.